Recent controversy about fracking-induced earthquakes in NE British Columbia illustrates how North American environmental NGOs use junk science and exaggerated claims to distort the public debate over energy infrastructure projects. Hydraulic fracturing – “fracking” – injects large volumes of water, sand, chemicals underground to crack formations and release oil and natural gas. The discussion in question involves two earthquakes in northeastern BC, home to several huge unconventional natural gas plays that are expected to supply the province’s nascent West Coat LNG industry. The first earthquake was a 4.4 magnitude tremor – which can be felt on surface but is not strong enough to damage building – in August of 2014. 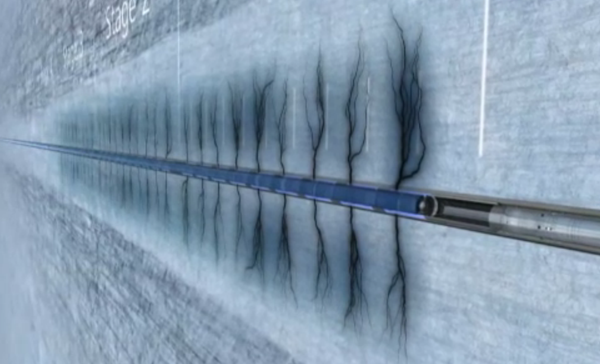 The BC Oil and Gas Commission analyzed data from its seismic arrays and local fracking operations, and confirmed in a report that Progress Energy induced the seismic event, among the largest caused by the industry in Canada. The 4.6 magnitude second quake occurred Aug. 17, 2015 north of Fort Nelson, BC as reported by the Canadian Press and Beacon Energy News. The BC Oil and Gas Commission is investigating this year’s big tremor, but has not yet established a cause because it takes several months to collect and analyze the data (Commission protocols require the company to stop operations while it prepares a mitigation plan, which can include reducing pumping pressures). Regulators in other energy-producing jurisdictions, such as Alberta and Texas, use the same general strategy of measuring, analyzing, and mitigating. This goal of this approach is to balance public safety and environmental protection with the economic benefits of hydraulic fracturing. But the eco-activists are very good at dredging up retired scientists and sketchy consultants to argue otherwise. 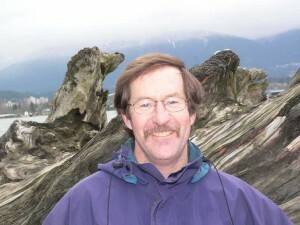 In the case of the Aug. 17 earthquake, right on cue, extreme claims were made by David Hughes, a geoscientist who worked for the Geological Survey of Canada for 32 years and recently analyzed BC’s LNG plans for the Canadian Centre for Policy Alternatives, a left-leaning think tank that strenuously opposes fracking and has supported anti-fracking measures across Eastern Canada. Hughes said that in order to meet the province’s highest estimate of five terminals delivering 82 million tonnes of LNG a year, drilling would have to increase five-fold by 2020 – up to 2,100 wells per year – leading to five times as many fracking-caused earthquakes, according to the Canadian Press. 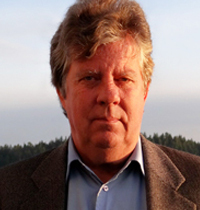 Then John Clague, a Simon Fraser University earthquake expert, stirred the pot by claiming that 5.0 or 6.0 magnitude quakes have been linked to fracking in the U.S.
And that predictably spurred en ENGO to demand an end to fracking. This is a common strategy by ENGOs: Take a relatively minor issue, inject some spurious science, and blow it up to a crisis of Biblical proportions that scares the pants off the public and justifies a demand for the end of fracking. The facts, not surprisingly, don’t justify the hysteria. For starters, Progress Energy said it doesn’t need to ramp up drilling – as claimed by Hughes – to supply Pacific NorthWest LNG’s planned plant and export terminal near Prince Rupert. “Our upstream drilling activity will remain relatively consistent with current levels over the life of the LNG project or may even decline and therefore pose no incremental risk,” said spokeswoman Stacie Dley in an email to CP. And then there are the BC Oil and Gas Commission’s industry-standard rules in place to minimize fracking-induced quakes. So far they seem to be working. The regulator recorded 193 fracking-caused quakes between August 2013 and October 2014 in the Montney Trend, a siltstone formation stretching from near Dawson Creek to the Rocky Mountain foothills. Of about 7,500 fracking operations, only 11 triggered events felt at the surface. None caused injuries or damage. A 2012 report showed that 297 seismic events were triggered by fracking but only one was felt at surface. To geologists, an earthquake is an earthquake regardless of its strength. But the seismic incidents recorded by the Commission’s instruments were micro-earthquakes, most of them between 1.8 and 3 on the Richter scale. Fracking-induced earthquakes above 4.0 are very rare. And if the Commission’s protocols continue to work as designed, the number of felt quakes will likely continue to be tiny. Finally, few earthquakes have been linked to fracking in the US, contrary to Clague’s claims. American induced-earthquakes are almost always caused by waste water disposal wells, which are entirely different from fracking. For every barrel of oil produced from a well, about eight to 10 barrels of water are brought to surface. The “produced water” is re-injected under high pressure into the reservoir at special disposal wells, which in a few cases have been found to create fractures several miles away. The result has been a big increase in earthquake activity in Oklahoma and to a lesser extent in Texas. In an interesting twist to this story, last week the Texas regulator contradicted the SMU study and ruled that the earthquake in question was not caused by disposal wells and that natural causes were to blame. If nothing else, the Texas example illustrates the difficulty in saying what definitively causes earthquakes. Alberta Geological Survey seismologist Dr. Todd Shipman told me in an interview for another story that scientists can never say with certainty if fracking or disposal wells induced a seismic event. The best they can do is determine the strength of the correlation of oil and gas activity and tremors. So, what do the facts of this story tell us? To date both Canadian and American experience says that fracking generally induces a small number of micro-earthquakes and a very small number of larger earthquakes that are felt on surface but do not damage property. Fracking does appear to cause more 4.0 and higher earthquakes in Oklahoma and Texas than Alberta and British Columbia for reasons that are not well understood. But the number of fracking-induced big quakes is still relatively small. Regulators in British Columbia and Alberta – and American jurisdictions like Texas – have strict protocols in place that require fracking crews to cease operations in the event of a larger quake and to not start up again until a mitigation plan has been approved. In other words, absolutely no justification for the demand by Eoin Madden of the Wilderness Committee to “press pause” on fracking in NE BC or anywhere else for that matter. At least, no justification based upon science and the known facts. Ed. note – This is an edited and condensed earlier version of my column that appeared in two parts.